It's often said the sequel is never as good as the original. Hockey fans may beg to differ after a New Year's Day tilt between Breck, ranked No. 1 in Class A, and Mahtomedi, ranked No. 5 in Class A, in the Schwan Cup Silver finals at the Xcel Energy Center. Back on Dec. 1, Breck took control of the first meeting between the two powerhouse programs. The Mustangs finished off the Zephyrs with a 7-1 victory, as Tyson Fulton had two goals and two assists. 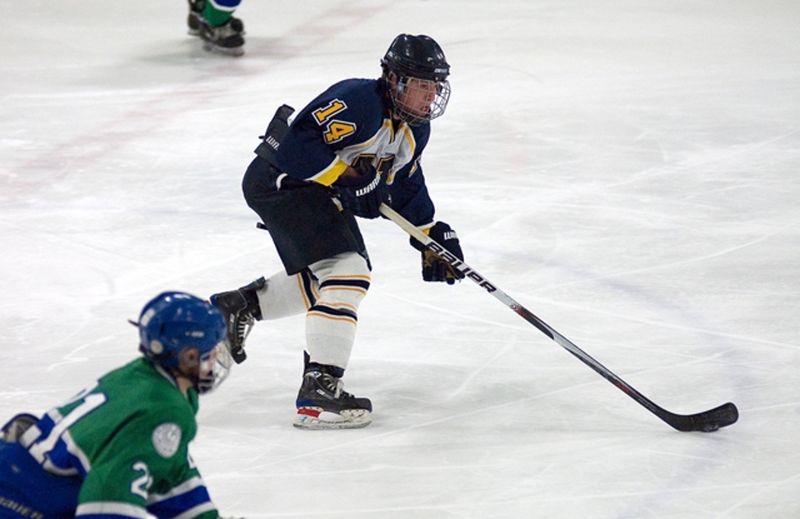 But arguably the best offensive defenseman in the state, Ben Marshall, was absent from Mahtomedi's lineup. His return will make a difference in the rematch New Year's Day -- but will it be enough? Check out the video below for both team's thoughts on the first game -- and the rematch. Program profiles on the Fab 15 in both Class AA and A.